BOSTON -- Prosecutors on Tuesday painted Michael McCarthy as a heroin addict whose "symbolic fingerprints" were all over the homicide of Bella Bond, the doe-eyed toddler whose body was found in a trash bag in June 2015. But defense attorneys countered that the case against McCarthy relies largely on the word of the girl's mother, Rachelle Bond, a "scheming, manipulative woman," who lied about her daughter's death to cover up her own responsibility. "Can you believe anything this woman says?" defense attorney Jonathan Shapiro asked as prosecution and defense attorneys delivered closing arguments in McCarthy's murder trial. Rachelle Bond, the mother of 2-year-old Bella Bond, and Michael McCarthy appeared in court for their arraignments on Monday, Sept. 21, 2015. Rachelle Bond was McCarthy's girlfriend at the time of her 2-year-old daughter's death. McCarthy, 37, has pleaded not guilty to a charge of first-degree murder. The prosecution's case relied heavily on testimony from Rachelle Bond, 41, who pleaded guilty pre-trial to being an accessory after the fact to murder and theft of over $250 by false pretense. As part of a deal with prosecutors, she will be sentenced to probation in exchange for her testimony. McCarthy did not testify in his own defense, and his attorneys focused the trial on Bond's credibility -- or lack of it. Jurors began deliberating Tuesday afternoon. They are also allowed to find verdicts on lesser charges of second-degree murder or involuntary manslaughter against McCarthy. The disturbing saga began two years ago when an unidentified toddler's partially decomposed body was found in a trash bag off the shoreline of Deer Island in Boston. Authorities launched an extensive effort to try to identify the girl, known as "Baby Doe," and commissioned a forensic artist to draw a composite image of her. The image was shared widely and led to thousands of tips, but the child's identity remained a mystery for months. The case broke open in September 2015 when Rachelle Bond admitted to a friend that her daughter Bella was dead, and that the girl had not been taken away by the Department of Children and Families, as she had told others. 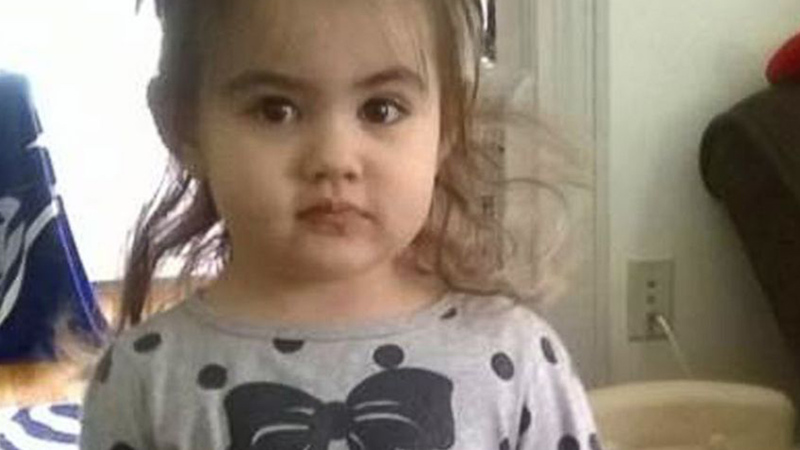 The friend then recognized Baby Doe as Bella Bond, and called police with the information. That led to the arrest of McCarthy on a charge of first-degree murder in the case. Bond was also charged for helping dispose of Bella's body -- and for taking government benefits for her daughter after her death. The trial lasted about three weeks. During closing statements, prosecutors said that the path that led to the courtroom was the devastating world of heroin addiction that had subsumed the lives of McCarthy, Rachelle Bond, and those around them. "It's primarily heroin that led us all here," Suffolk County Assistant District Attorney David Deakin said in closing statements. Defense attorney Shapiro hammered at Bond's credibility and oft-contradictory statements during an extensive cross-examination. In closing arguments, he said her testimony was remarkably different from her statements to police. For example, Bond told police initially that she saw McCarthy standing over Bella's body on the night of her death, but that she wasn't sure how Bella had died, Shapiro said. However, she testified in court that she in fact saw him punch her in the stomach with his fist, making her bounce off the mattress and fell back down. "She changed her story. She enhanced it, she embellished it, she dramatized it, all to make Mr. McCarthy look more guilty," Shapiro said. He called parts of her story "preposterous," particularly her assertion that McCarthy forcibly kept her captive in her house for months. "The story she told is clearly made up to cover her own guilt," he said. "It was a web of lies and a changing web of lies." Finally, he argued that Bond -- not McCarthy -- was the one obsessed with demons and the occult. Bond had told an acquaintance that Bella was a demon, and she wrote several entries in her diary about demons and conspiracies about reptilian people. Prosecutor David Deakin's closing arguments focused more on the circumstantial evidence against McCarthy -- rather than Bond's testimony. McCarthy acted strangely under police questioning and did not even ask about Bella's welfare, Deakin said. In addition, Bella's body was found in a trash bag with weights that belonged to McCarthy, Deakin said, and the bag was dumped into the water in a part of Boston where McCarthy used to spent a lot of time. "Innocent people don't dump bodies," Deakin said. "People dump bodies to cover up evidence of guilt."